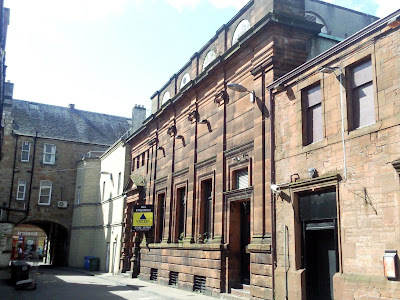 A former nightclub with development potential in Ayr is being offered for sale. Located on Nile Court, a prominent town centre location adjacent to High Street, the property offers an attractive development opportunity. Formed over three levels within a sandstone property, the 4,600 sq ft former nightclub has been finished to a shell standard throughout with full fit out required. The building would lend itself to retail or office use subject to local authority consent. There are currently 611 Ayrshire business stories permanently archived on this site. To locate those of most interest to you, please use the site search facility in the top left hand corner of this page. Type your search term in the white box, then click “SEARCH BLOG”.